New Horizons is now more than 1,400 days into its 9.5-year journey and well past 15 AU (astronomical units) from the Sun. We still have about 2,050 days ahead of us before we reach the Pluto system, but on Dec. 29, we’ll reach the first of several midway milestones. As the graph below shows, New Horizons will be closer to Pluto (the red line) than to Earth (the blue curve). This marker puts a nice capstone on 2009, during which we moved another 500 million kilometers closer to our favorite planet, so far against the deep. "It's going to make it!" 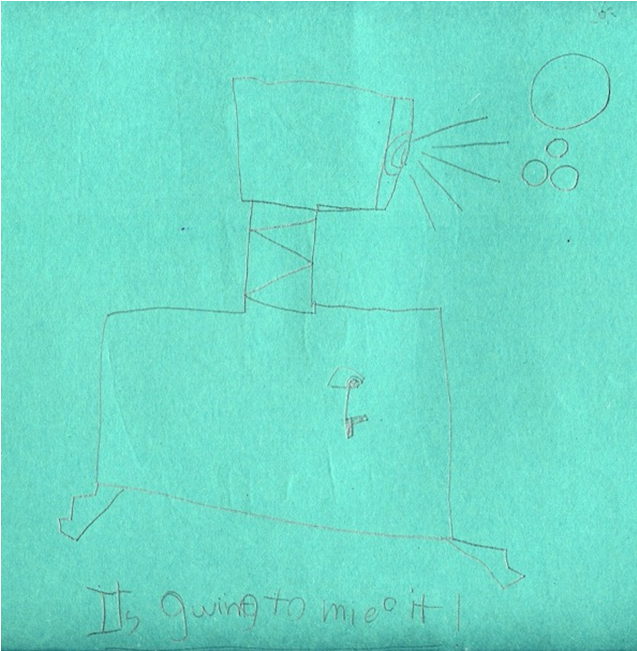 by 7-year-old Piper Benson of Mexico City, depicting New Horizons, with the Pluto-Charon-Nix-Hydra system in the corner, and a small Sun. Piper was born when New Horizons was being designed and will just about be a teenager when we arrive in 2015. This chart shows the distance of New Horizons to both Earth (blue curve) and Pluto (red line) versus date. During last month’s wake-up we also downloaded several months of stored science data from the Venetia Burney Student Dust Counter, corrected a recently discovered bug in our fault protection system software, completed about a dozen tracking passes to help refine our trajectory, and uploaded instructions to run the spacecraft through early January. All of the goals of the November wake-up were successfully completed, and telemetry shows that New Horizons is in very good health and almost exactly on its planned course. Since I wrote you in early September, our ground team has been a lot busier than our spacecraft has, since they never hibernate. In addition to planning both the just-completed November wake-up and the upcoming 10-day January (2010) wake-up, they’ve also completed all but a few final details of the nine-day, Pluto-closest-approach encounter command load for 2015 and verified this command load on the spacecraft simulators at the Johns Hopkins University Applied Physics Laboratory in Laurel, Md. Our ground team has also been hard at work planning next summer’s Active Checkout (ACO), which will run from late May to early July. 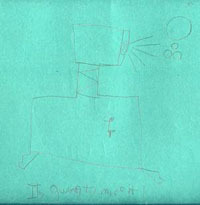 The 2010 ACO is our fourth of the mission, so it’s called ACO-4. Unlike ACO-3, which was very light on activity (to give our ground team more time to work on Pluto encounter planning), ACO-4 will be chockablock with scheduled activities. Among these will be a complete spacecraft and instrument checkout; instrument calibrations, to look for changes since our last set of calibrations in 2008; a trajectory correction maneuver, our first since 2007; a little cruise science focusing on the interplanetary environment and Uranus and Neptune imaging; more fault-protection software upgrades; some tests associated with activities we’ll be conducting at Pluto; and our first-ever full length encounter mode test on the spacecraft. And just in case you think the ground team still doesn’t have enough to do, they have also begun the detailed planning of the final few weeks of our approach to Pluto that precedes the nine-day close encounter period they’ve already planned out. All of this, mind you, by a team that is about 10 times smaller than the venerable Voyager team when its Uranus and Neptune flybys were planned in the mid- and late-1980s. Before I close, I want to mention two other items you might find interesting. First, on Nov. 17, a crew from the PBS television series NOVA visited New Horizons at APL for a special, hosted by Neil deGrasse Tyson, that is scheduled to air in early March. The episode will concern the subject of Neil’s book, “The Pluto Files.” I was interviewed in our control center and also met with Neil to discuss Pluto’s planethood. We’ve posted a few pictures from the shoot here. Speaking of that always-hot topic, there’s a fascinating new book out on the same called “The Case for Pluto,” written by MSNBC’s science guy, Alan Boyle. I was asked to help critique early drafts, and in my opinion, Boyle has thought harder and more deeply about the topic than any journalist ever has. It’s a fun read too. 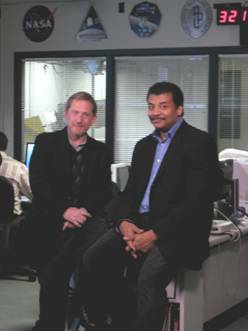 Alan Stern and Neil deGrasse Tyson in the New Horizons control room at the Johns Hopkins Applied Physics Lab for NOVA’s episode concerning Pluto, its planethood and New Horizons.The NOVA crew came to APL on Nov. 17. We’re also planning our annual New Horizons science team meeting, which occurs every January near the anniversary of our launch in 2006. Among the topics we’ll discuss in detail are plans to start searching for Kuiper Belt Objects that we hope to fly by and reconnoiter after Pluto. Those searches will begin next summer and continue through 2011 and 2012. Hopefully, they’ll net us four to 10 potential targets. That’s my update for now. Thanks for following our journey to a new frontier. I’ll be back in January, after the next time we wake up our spacecraft. In the meantime, keep on exploring, just as we do!